At the EMO Exhibition last year, Kitamura launched a multi-pallet version of their small unique HX250iG horizontal machining centre. This machine, fitted with an impressive 10 pallet station, can now be seen under power in our Nuneaton showroom. 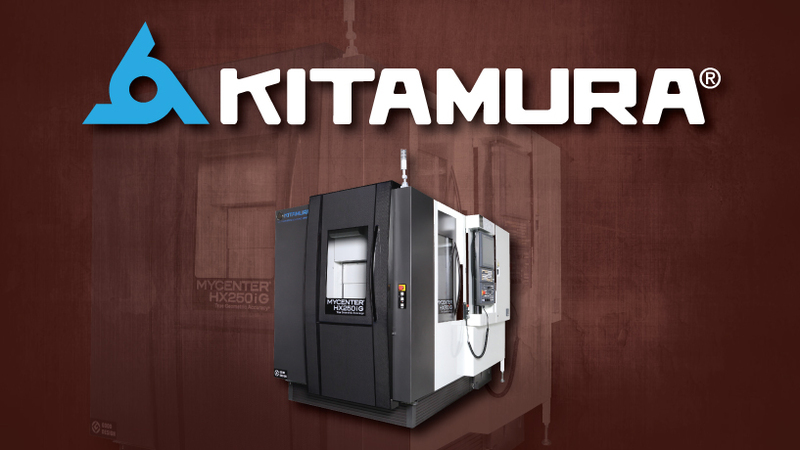 The Mycenter-HX250iG from the Japanese manufacturer, Kitamura, has been installed in many engineering companies throughout the U.K., with fantastic responses from our customers. The power and precision of this ultra-compact machine is complemented by the latest in control technology, the Arumatik-Mi control. This Fanuc friendly, Mitsubishi based control is equipped with a vast number of software features such as video guidance and visual programming screens. The Mycenter HX250iG in our showroom includes many Kitamura features such as 60 M/min rapid rates and is fitted with the 10 automatic pallet change and 102 tools. The small footprint of only 12M², amazing for a machine of that capacity, saves on valuable floor space. The machine is fitted with a powerful 15,000rpm, dual contact spindle with the option for 30,000rpm.